Allopathic Medicine Manufacturer and Supplier in India – High-quality general medicines are available for manufacturing! Get the widest collection of tablets, capsules, injectables, syrups, powders, drops, creams, gels, ointments etc. We bring you DCGI approved list that is fully produced in self-owned advanced labs and manufacturing units. Penardo Biotech is a trusted allopathic medicines manufacturer and supplier in India that is known for its quality services and high customer satisfaction. If you look for genuine deals then our company offers quite economic plans for quality allopathic drug medicines/product range. Major of demand across India comprises of allopathic medicines which are increasing every day. 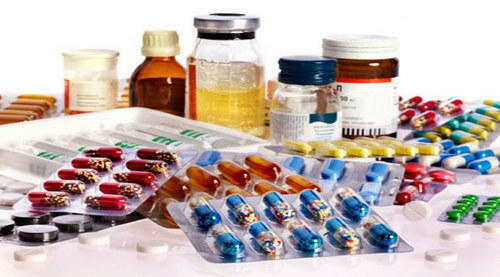 People look for3ward to quality medicines that help them cure ailments and make them healthy. For companies who want to expand their current products list or extend their production system then manufacturing provides you a complete solution. Penardo Biotech is the best allopathic medicines manufacturer and supplier in India to offer you more than 300+ drug formulations. These cover various drug markets like diabetic medicines, pediatric medicines, cardiovascular drugs, neuropsychiatric medicines, dermatology range etc. You can opt for any allopathic drug specialized & therapeutic products list and get the best services of your life. If you want to know more about our company, then directly call at +91-7056703730, (+91)-9855087879 for more details. Our company offers best outsourcing facilities across India at most reasonable rates. You can even leave a message in our contact inquiry form or email us at penardobiotech@gmail.com for details. Allopathic medicines have great market demand. As per a survey, more than 90 percent of the population in India chooses allopathic medicines over other medications. People look forward to quality medicines that are innovative and effective in providing results. For the companies who look for expansion should for manufacturing services. This will help you shift your focus from production to marketing. You can look for a new perspective to explore new realms for your business. Allopathic medicines are greatly in-demand drug solutions that have a constant CAGR growth rate. Investing here is no less than a profitable deal for all. Why Invest in Allopathic Medicines Manufacturing! They cover a majority demand for medicines across the globe. Economic to business conditions today. Save more on expenditure cost incurred by owing manufacture facilities. Lets you meet demand easier. Skilled and developed manpower staffed in different departments. We have the best manufacturing strategies being put up for better quality output for our strategic clients. Best infrastructure manufacturing units that are situated in GMP & WHO units. We have partnered with numerous distributaries to make your order fast and reliable. Ointment, Creams & Lotion etc. For Better, Allopathic Range Manufacturing Services Penardo Biotech Offers the Best Deal! Our company welcomes all those who look for genuine manufacturing deals. You will be provided with all the required assistance like the trademark, assembling of resources, marketing tools etc. The prices set are quite genuine for all sizes of orders. It is our assurance that will be provided with the best. Our units have huge manufacturing space that helps us manage different orders easily. The warehousing space is utilized wisely to ensure that your medicines are being kept safe and required conditions. Connect now to know more! Name: Penardo Biotech Pvt. Ltd.
We are headed by Mr. Anil kapoor & Mr. Harish Sharma. who had rich experience in the pharmaceutical industry at the different level in management category in various reputed companies.